The end of summer in Ireland means that the roads are brilliant with these beautiful orange flowers, a plant we have been told that was imported by mistake into the country and which grows like wildfire. No one seems to mind, as it is beautiful. "Mombretia" is what they are called. 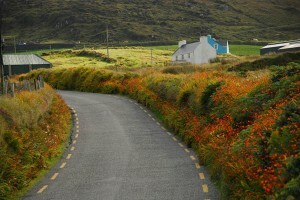 Posted in Ireland Tours and tagged flowers, ireland, mombretia, roadside.